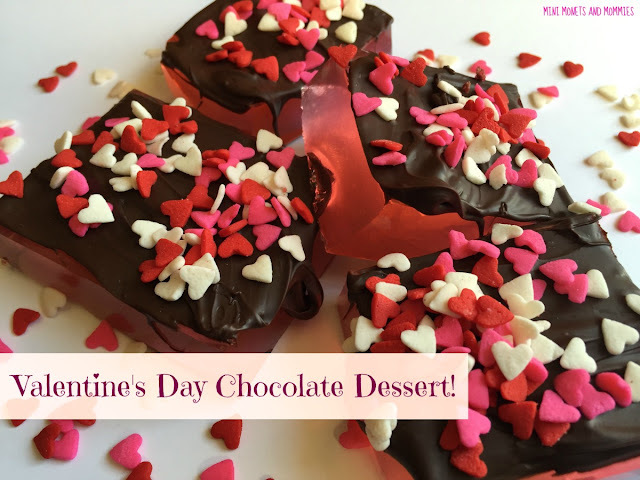 Valentine’s Day treats are all about the chocolate. Ok, so the candy hearts also make an appearance too. But, really – drenching just about anything in chocolate just seems to make it better. And I’ve done just that, making a holiday gelatin dessert. With some creative use of fruit juice, a generous addition of sweets and some heart-shaped sprinkles, you (and your kids) make a Valentine’s dessert that’s perfect for a party or any other time. I got the idea for this recipe when I bought a way-too-big box of berry flavored sparkling water. I wanted to use it in something… I just wasn’t sure what. 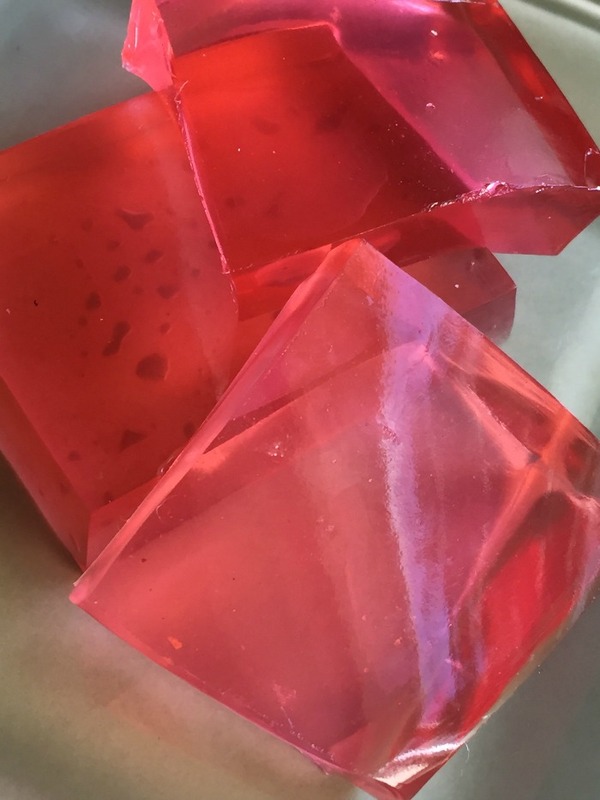 When I paired it with white cran-strawberry juice, the idea for turning it into a gelatin dessert jumped into my mind (I have no idea why, maybe it was fond early childhood memories). This holiday recipe is super-simple, meaning you don’t have to be Top Chef-worthy to quickly whip it up. It’s also a great way to involve the kiddos in cooking. Let them do the measuring and mixing as you talk about how the gelatin gels and why. 1. Bring the juice to a boil on the stove. 2. Stir in the gelatin. 3. Add one cup of the berry water, and stir. The gelatin should be completely dissolved by now. 4. Pour the mix into a cake pan (or something similarly sized) and refrigerate until set (this may take several hours). The gelatin will be the consistency of gummy candy when it’s ready. 5. Melt the chocolate. I did this in the microwave (keep in mind, microwaves vary in intensity – so you may need to adjust the time). 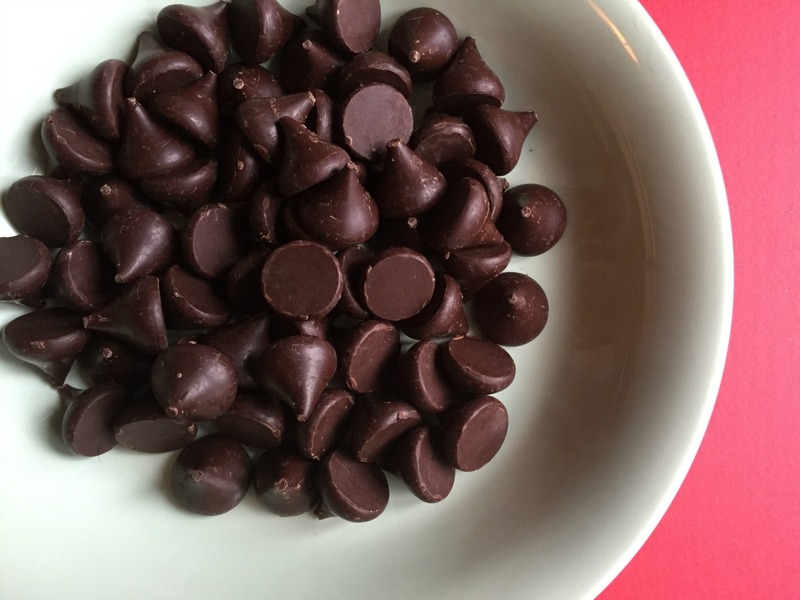 Put the chocolate in a microwave-safe bowl and heat for 45 seconds. Stir. If it’s not melted all of the way, heat for increments of 15 seconds until it is. 6. Cut the gelatin into blocks. 7. 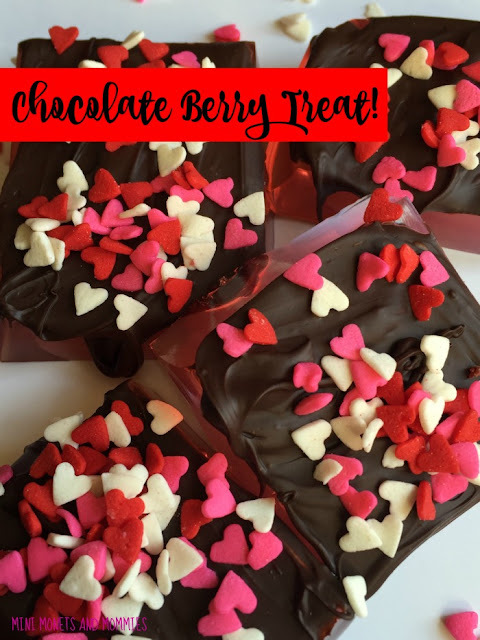 Drizzle the heated chocolate over top to get a choco-topped berry flavor. Be careful, it will be very hot. 8. Sprinkle the hearts on top. Are you looking for more Valentine’s Day treats? 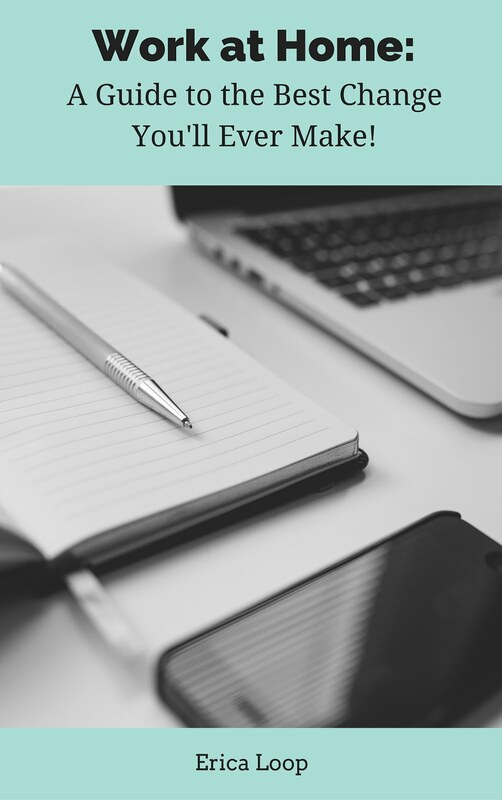 Follow my Pinterest board for ideas galore! Follow Mini Monets and Mommies's board Valentine's Day Holiday Treats on Pinterest.